Welcome to Creative Computer Solutions! 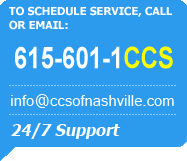 Creative Computer Solutions of Nashville is a locally run and operated computer company specializing in website development, e-commerce transitions, and custom built networks to suit any business's needs. It is our goal to keep our customers satisfied while at the same keeping your money where it belongs, in your pocket! Whether you are a small at-home business needing a website for your company or an exisiting storefront, CCS has the newest in computer and website technology to take you and your business to its next step! Having a problem with your in-home computers or network? CCS can help! Not only are we half of the price of the competition, but our same-day residential gaurantee will have you up and running before dinner hits the table! No more Geeks in black and white at your door to haul your computer off for weeks while your bank account is overfrafted into oblivion, CCS turn around rate is typically 1-2 hours. Creative Computer Solutions offers a full range of IT solutions to help your home or business run flawlessly. Our IT professionals are consistently raising the bar and setting the industry standard. CCS' prices are competitive. Is your recent quote looking a little steep? CCS will meet or beat any quote you may have, just give us a call or shoot us an email!